Le Cordon Bleu was joined by COYA's Culinary Director, Sanjay Dwivedi for an evening showcasing the similarities and influences of asian and Peruvian cuisine. Sanjay started the evening preparing a Classic Seabass Ceviche, or Lubina Clásico as it is known in Spanish. Explaining the method of creating each element of the dish and the need for fresh ingredients, he was quick to point out that seasonality is key, so even though he believe Peruvian corn to be the best for this recipe, sweetcorn may be better option if in season and easier to obtain. Although this recipe has seabass as it's focus, the recipe will still work as a base for other seafood, with Sanjay recommending either salmon, seabream, scallops or prawns as the best substitutes. This dish showcases the fresh ingredients synonamous with Peruvian cuisine, presented in the typical way that Sanjay and COYA alike, have become known for. Anticucho de pollo (chicken anticucho) was Sanjay's next demonstration dish. 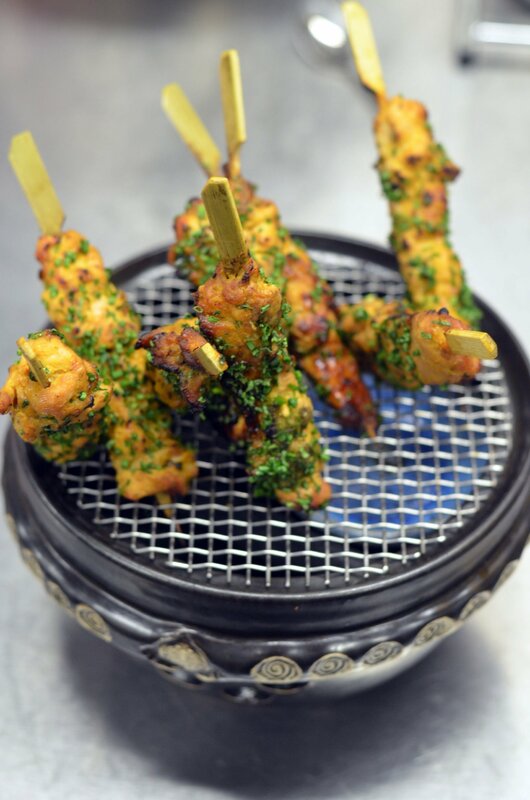 Still drawing on similarly fresh ingredients and flavours found in the previous dish, chicken anticucho displays the freshness in a very different way, displaying the depth and diversity of Peruvian cuisine. Influenced heavily by Japanese, Chinese and Spanish cuisine, Peruvian cuisine has had many influences, but anticucho can be traced back to pre-Spanish Peru, more specifically the Quechuan's native to the Andes during the Incan Empire. Traditionally made with alpaca or beef ofal, such as the heart in particular, Sanjay's recipe calls for a more modern take, featuring boneless chicken thighs instead. Each dish featured in the demonstration gets gradually richer in flavour, but even the Lomo de res (spicy beef filliet) doesn't feel as heavy going as it initially sounds thanks to the other ingredients that the beef is married with. 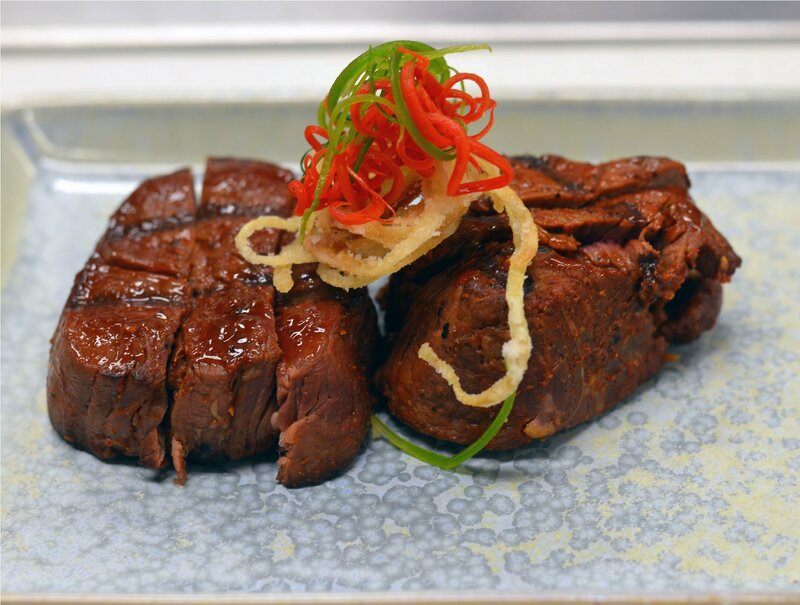 Focusing more on the Asian influences of Peruvian cuisine, particularly from Chinese cuisine, Sanjay uses Szechuan pepper for the spice and soy, star anise and ginger form part of the marinade. 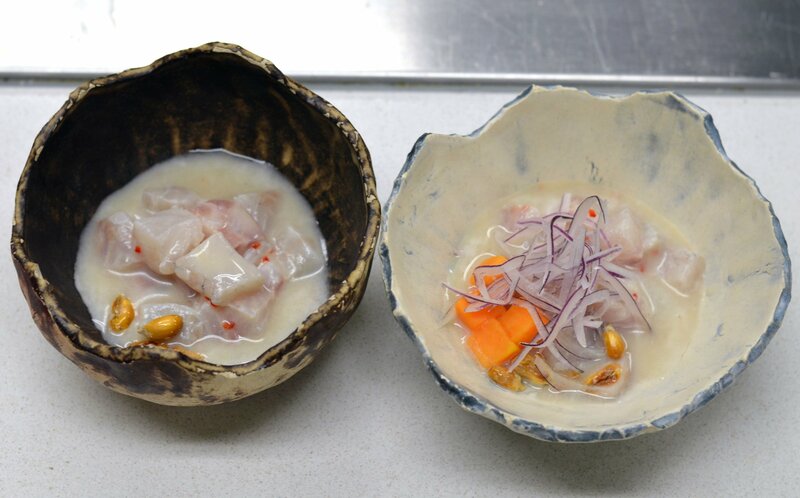 Known as chifa cuisine, a fusion of Chinese cuisine with traditional Peruvian food dates back to Chinese immigrants of the late 19th and early 20th Century. This dish celebrates the popular chifa cuisine still found in many cities around Peru. Ending the evening with questions from the audience, Sanjay bestowed his years of knowledge from working in the industry, across many differing cuisines, sharing kitchens with many big name chefs equalling Sanjay's vast knowledge of ingredients and techniques. Keen to excite and inspire future chefs, Sanjay and the COYA team are pleased to offer advice and industry insight at events such as this, hoping that one day they may see one of the audience members in one of their COYA kitchens. The evening closed with Sanjay handing out some beautifully presented salted caramel popcorn which he had created earlier in the day for the audience to take away with them. Born in London and raised in Delhi, Sanjay has worked in a diverse range of leading restaurants including 10 years at Zaika, the first Indian restaurant to receive a Michelin star, and Oliver Peyton’s Coast Restaurant and Atlantic Bar and Grill. Fascinated by the eclectic mix of Japanese, Chinese and Spanish cuisines in Peruvian food, Sanjay is experimental in his cooking and has curated menus full of healthy dishes packed with flavour that impress even the most seasoned foodie. Sanjay’s passion for his craft and charming personality has led to a number of broadcast appearances including Channel 4’s Iron Chef UK and BBC1's MasterChef.